We are truly a rental store; our name says it all! 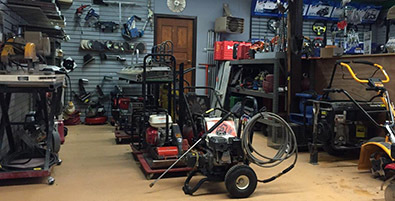 Tool rentals are always quoted for a 24 hour period from when you take it out; this is called the Day Rate. For an overnight or for 4 hours or less, we give a 25% discount off the Day rate. The Weekend rental starts Friday after 3pm and is 1 1/2 Day’s rate. The Sunday rental starts Saurday at noon and costs a 1 Day rate. Our daily rental golf cars can be seen at events such as weddings, large family gatherings, plant shut-downs or social functions at race tracks or convention centers. We rent for people-moving, security, or cargo hauling etc. We are fully insured and provide pickup and delivery to accommodate your needs. 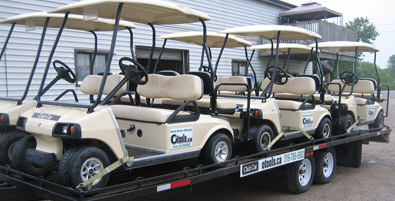 Golf Car Rentals have a 3-day minimum and are available for short or long term needs. Quotes can be customized to fit you or your event. If you have any questions, please contact us.